With spring on the way, runners, cyclists, and other outdoor exercise enthusiasts start to look forward to being more active. Running continues to increase in popularity, as does cycling. Both are great physical activities with many cardiovascular and physical benefits, and there are many others too. When exercising, it is important to pay attention to your body and listen to the messages that it may be sending. Are you in pain? Are you having any unexpected difficulties or challenges? Is something feeling awkward? These can be important warning signs for bigger issues. What Do Teeth and Exercise-Related Pain Have in Common? Understandably, you might react with the thought: That makes sense. But why is your Philadelphia dental and hair replacement expert telling me this? What does a dental professional have to do with exercise and related physical warning signs such as toothache and hair fall? You may be surprised to learn that it is not uncommon for people to suffer tooth pain when they run. Some people also experience tooth and gum pain or sensitivity when they do other forms of exercise too. There are several reasons that we might feel tooth or gum pain when running or exercising, and they tend to reflect two major causes. Both are serious and require the attention of a dental professional. They are infection in the teeth or gums, or some kind of trauma to the teeth or jaw. Infection covers many conditions. In our mouths, they include cavities. Cavities are formed by bacteria, which can eat through our teeth and ultimately impact the gums (gingivitis is an infection of the gums). 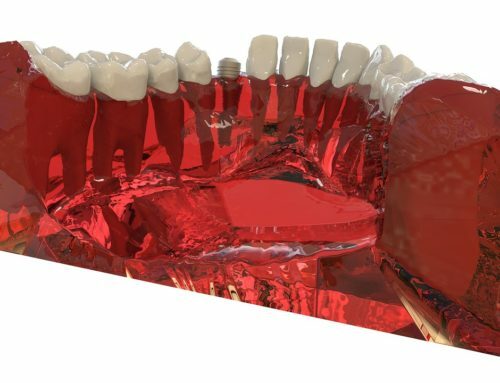 Bacteria may also cause inflammation in the root of a tooth itself. When running or doing other exercise, we increase the blood flow in the body. Increased blood flow may cause inflammation in our tooth or gums if exacerbating an already existing problem. Another reason for pain may be teeth-gritting or jaw clenching. When we exert ourselves in some way, we often grit our teeth or clench our jaws. So, it is possible that, while running or performing some other exercise, we may be unconsciously doing one or the other, or both. Gritting teeth too hard can cause pain in our mouths, jaw joints, jaw bones, as well as along the gums. Or, if we hold our teeth slightly apart while running, teeth may close together too forcefully with the impact of feet hitting the ground. Tooth pain can lead to severe hair loss depending on the condition of gums and teeth. Extremes of hot and cold weather can also contribute to sensitivity and pain when exercising, especially with an existing infection. If you are experiencing such mouth pain, you should consult with your Philadelphia dental and hair transplant expert as soon as possible.